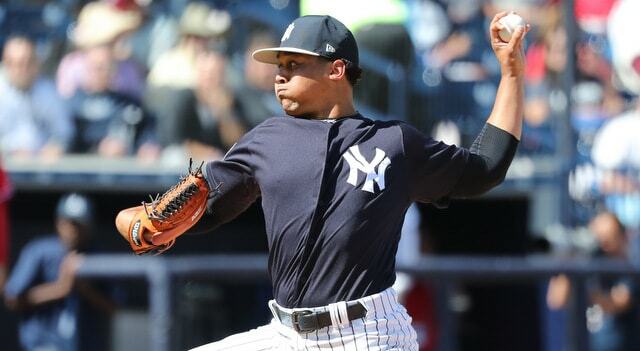 The rotation was always going to be a priority this offseason and the Yankees have added one of the better lefties in the game. 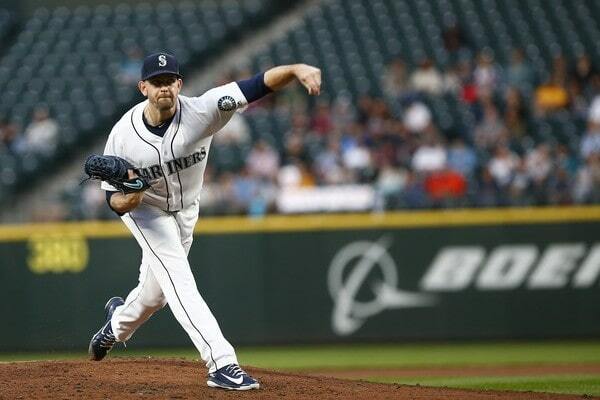 The Yankees have acquired James Paxton from the Mariners for top prospect Justus Sheffield and prospects Erik Swanson and Dom Thompson-Williams, both teams announced. It is a done deal. Officially official. Mariners GM Jerry Dipoto indicated the team is ready to rebuild a few weeks ago — his term was “re-imagine” the roster — and soon thereafter he shipped Mike Zunino to the Rays. The Paxton rumors started up soon thereafter and the Yankees were a logical landing spot given their need for rotation help and the perpetual need for quality lefties in Yankee Stadium. Paxton turned 30 earlier this month and he threw 160.1 innings with a 3.76 ERA (3.24 FIP) with 32.3% strikeouts and 6.5% walks this past season. He is under control as an arbitration-eligible player another two years — MLBTR projects a $9M salary in 2019 and that’ll probably jump to $15M or so in 2020 — so he’s not a rental. He’s not dirt cheap, but he’s not a rental. Here’s my Scouting the Market post on Paxton, so check that out for everything you need to know about that guy. Long story short, he’s really good and he throws a lot of fastballs. 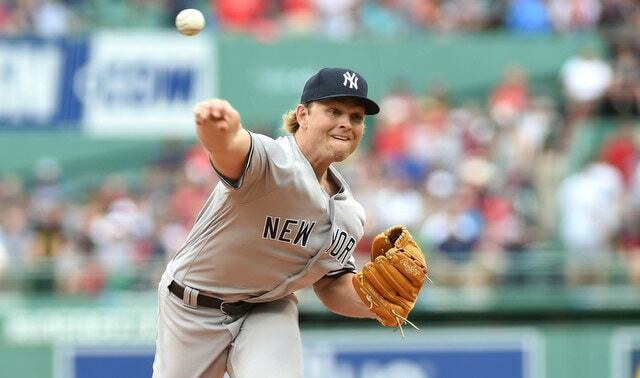 The Yankees are an anti-fastball team, but, given the way the Yankees treated J.A. Happ and Lance Lynn last year, I imagine they’ll continue letting Paxton throw all those fastballs. That’s how he gets his outs. No need to change. The Yankees now have four starters penciled in for next season: Paxton, Luis Severino, Masahiro Tanaka, and CC Sabathia in whatever order. Sonny Gray is still on the roster but he is as good as gone. He’s getting traded, maybe soon. Their rotation depth is Domingo German, Luis Cessa, Jonathan Loaisiga, and Chance Adams. There’s still a lot of offseason to go, however. Even with Paxton and his projected salary on board, the Yankees have about $25M remaining under next year’s $206M luxury tax threshold. That is roughly the annual of cost of one (1) Patrick Corbin. Also, depending how the Gray trade works out, the Yankees may free up $9M or so in that deal. We’ll see. Right now, the Yankees still have some money to spend and one rotation spot to address, plus other stuff (Didi Gregorius replacement, bullpen etc.). As for the players going to Seattle, Sheffield is clearly the headliner. He took over as the organization’s obvious No. 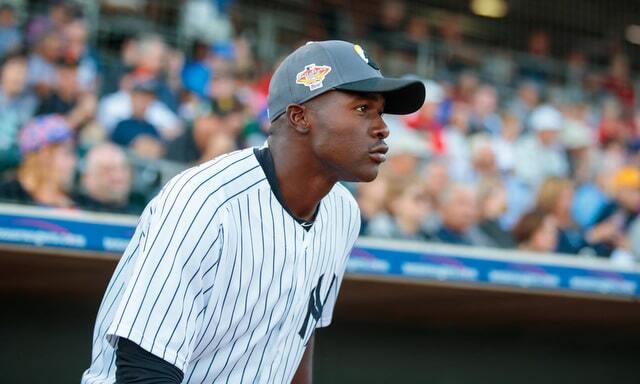 1 prospect once Gleyber Torres and Miguel Andujar graduated to MLB, and MLB.com currently ranks him as the 31st best prospect in baseball. The Yankees originally acquired Sheffield from the Indians in the Andrew Miller trade back in 2016. More than two years ago already? Geez. Sheffield, 22, had a 2.48 ERA (2.98 FIP) with 25.9% strikeouts and 10.5% walks in 116 innings across Double-A and Triple-A this past season. He made his MLB debut in September and it didn’t go well (2.2 IP, 4 H, 3 R, 3 ER, 3 BB, 0 K) but who cares. 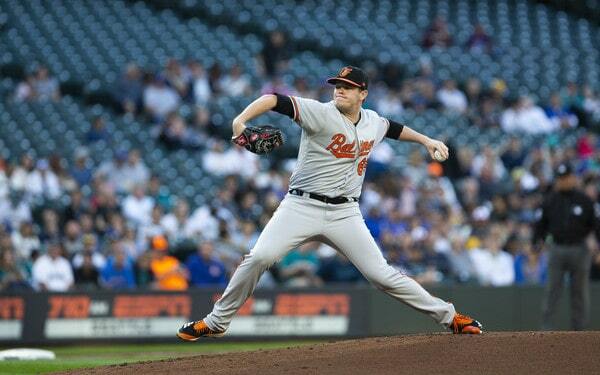 Countless pitchers have struggled in their first 2.2 big league innings. Sheffield’s a great prospect, but you have to give something good to get a guy like Paxton. The 25-year-old Swanson came over in the Carlos Beltran trade and MLB.com ranked him as the No. 22 prospect in the system before the trade. I haven’t started sketching out my annual top 30 prospects list yet but Swanson would’ve made it, likely somewhere in that 20-25 range. He threw 121.1 innings with a 2.66 ERA (2.91 FIP) with 29.2% strikeouts and 6.1% walks at mostly Triple-A this year. 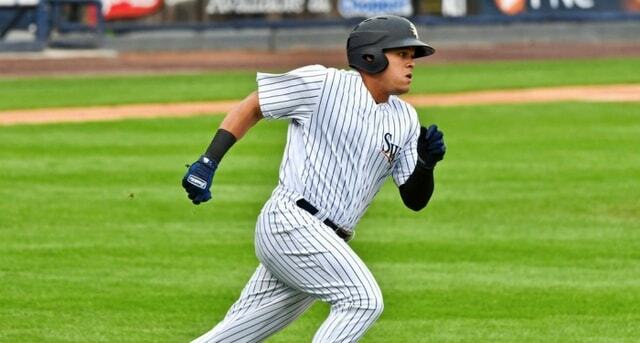 Thompson-Williams, 23, was the Yankees’ fifth round pick in 2016. He broke out this past season, hitting .299/.363/.546 (157 wRC+) with a farm system leading 22 home runs in 100 Single-A games. Thompson-Williams hit six homers in 120 games from 2016-17. He didn’t rank among the team’s top 30 prospects before the trade, per MLB.com. I don’t think I would’ve had him in next year’s preseason top 30 but it’s hard to say for sure at this point. On the 40-man roster front, the Yankees will end up saving a spot here. Paxton takes Sheffield’s spot and Swanson is Rule 5 Draft eligible this winter, and I imagine he would’ve been added to the 40-man prior to tomorrow’s protection deadline. A big league ready (or close to it) pitcher with those Triple-A numbers is an obvious protection candidate. 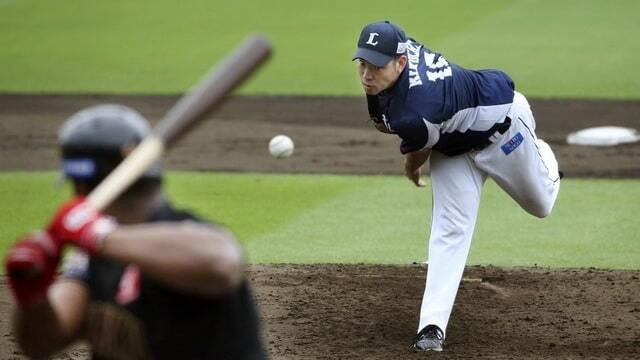 Now the Yankees won’t have to add him to the 40-man. Paxton has hardly been a workhorse in his career — he’s never thrown as many as 175 innings in a season and only three times has he thrown 160 innings — but the innings he does provide tend to be very good. The Yankees needed a major upgrade to their rotation, not a few tweaks, and Paxton does represent that big upgrade. Or at least I hope he does. Getting Sonny Grayed again would stink. 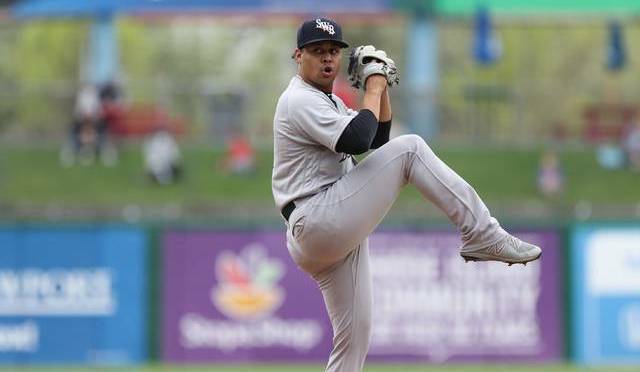 Good report from Kiley McDaniel on RHP Roansy Contreras’ season debut the other day. He says the 18-year-old was 94-97 mph with his heater, with a slider that flashed 60 and a changeup that flashed 50 on the 20-80 scouting scale. That’s an above-average fastball, a potentially above-average slider, and a potentially average changeup. SS Thairo Estrada may be done for the season. Triple-A Scranton manager Bobby Mitchell told DJ Eberle that Estrada has a back issue and it’ll be difficult for him to return before the end of the year. Thairo was originally placed on the Triple-A disabled list with a wrist issue. As for RHP Erik Swanson, he is on the Triple-A disabled list with a groin issue, reports Conor Foley. That stinks, but it is good news in that it’s not his arm. He’s had elbow trouble in the past. Sounds like Swanson could miss a few weeks. 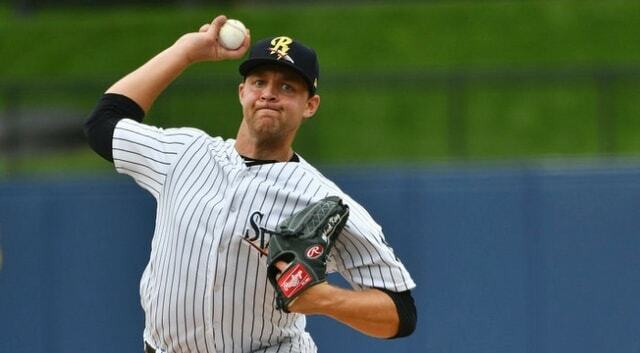 RHP Erik Swanson was placed on the Triple-A Scranton disabled list today, the team announced. Not sure what’s wrong with him. Swanson does have an injury history, most notably missing much of the 2015 season with a flexor strain.